A happy marriage. A beautiful family. A dream home. So what makes lawyer Emily Coleman—a woman who appears to have everything—get up one morning and walk right out of her life to start again as someone new? Cat has buried any trace of her old self so well, no one knows how to find her. But she can’t bury the past—or her own painful memories. As the days turn to months, thoughts of all she’s left behind begin to consume her. She cannot outrun the ghosts that haunt her, no matter how hard she tries to elude them. And soon, she’ll have to face the truth of what she’s done—a shocking revelation that may push her one step too far . . . 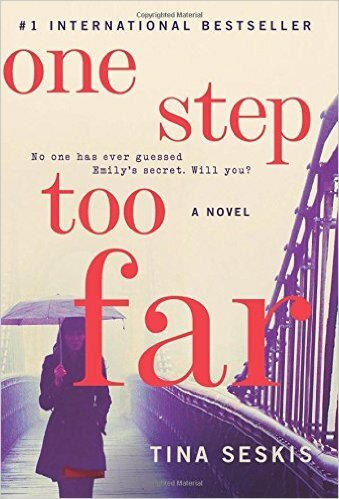 Filled with wonderfully complex characters, brilliantly plotted to ratchet the suspense, and exploring themes of family, secrets, and the choices we all must make, One Step Too Far is a mesmerizing thriller that tantalizingly illuminates just how far we may go to try and forget our sins.